This expedition consists of a sea kayaking journey along the whole coast of Norway.  It starts in the very northeast of Norway, where Grense Jacobselve, the Norwegian-Russian border, meets the Sea. The start will be in the middle of June 2014. 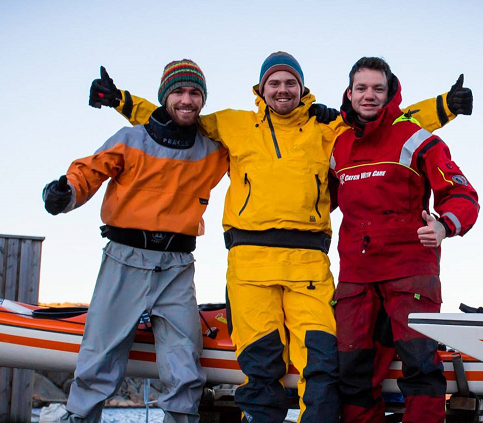 Throughout the coast of Norway the expedition aims to reach Strömstad in Sweden within 90 days. In addition to the paddling adventure this kind of journey represents, the expedition also involves another dimension. 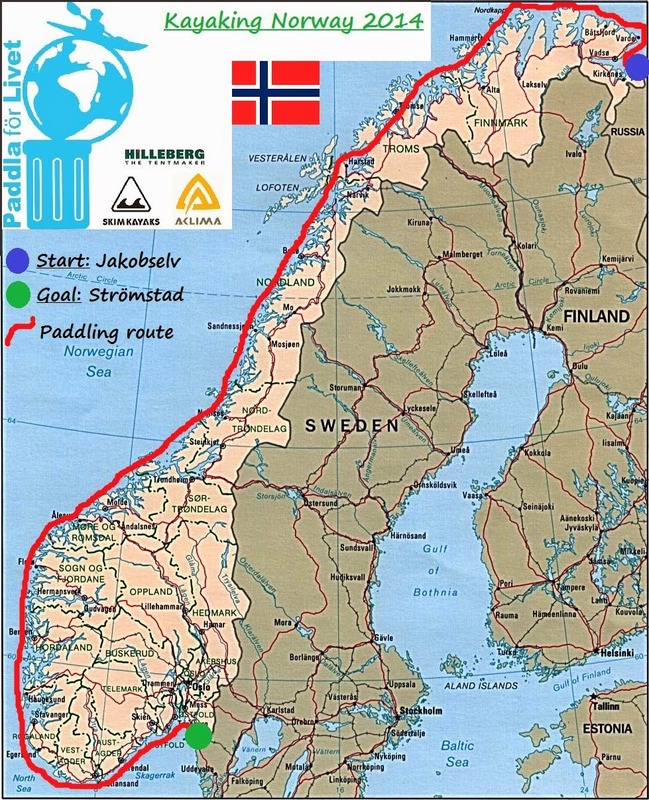 Since this is a project hosted by "Paddla för Livet" the expedition is about environmental commitments. The main goal is to investigate marine littering along the whole coast of Norway. We will actively work to spread a message about nature preserving and try to inspire everyone out there to think in a sustainable way. During the trip we will document the situation of marine litter on all places we disembark. We will bring "garbage-observation-documents", developed by Paddla för Livet, on where we record how littered each documented area is, and also what kind of garbage that is found. If we have the possibility to bring parts of observed garbage to containers and other recycling sites we will do so. When the expedition is completed we will bring all these garbage-observation-documents for all observed sites together with photographs of each site and start to analyze them. We will compare the observations and check the connection of them, and look into why differences appear in the way they do. We will create a map made of all our documentary and obtained data in the purpose of giving a overall picture of the garbage situation along the coast. All this will be material for interesting lectures and further research, but also our own documentary. In other words, during the autumn of 2014 we want to present a documentary of the expedition and our environmental journey. It will aim to show both the paddling adventure itself but also our environmental research during the expedition.